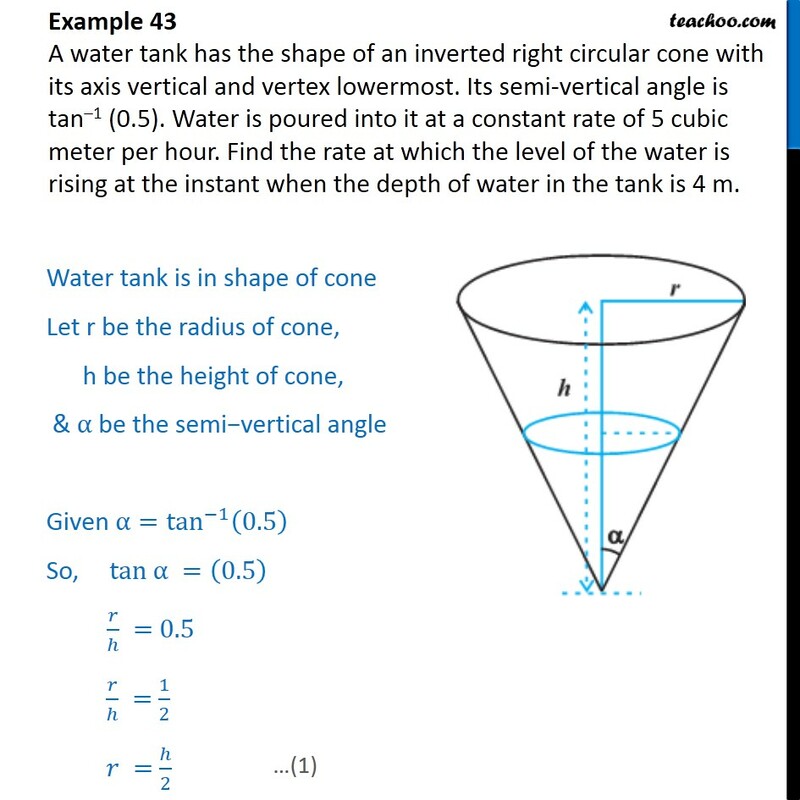 Example 43	A water tank has the shape of an inverted right circular cone with its axis vertical and vertex lowermost. Its semi-vertical angle is tan 1 (0.5). Water is poured into it at a constant rate of 5 cubic meter per hour. 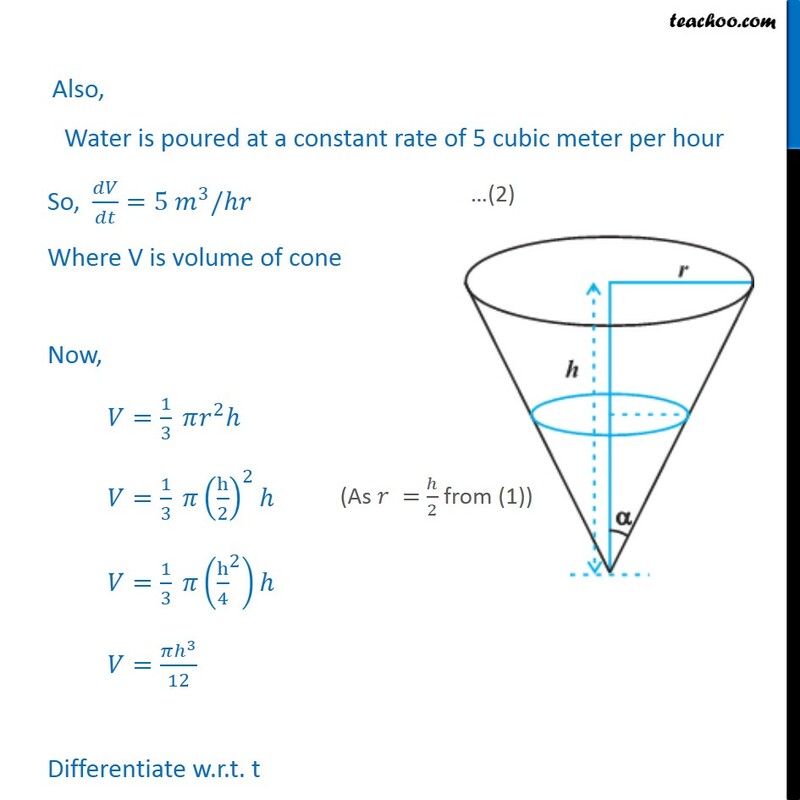 Find the rate at which the level of the water is rising at the instant when the depth of water in the tank is 4 m. Water tank is in shape of cone Let r be the radius of cone, h be the height of cone, & be the semi vertical angle Given = tan 1 0.5 So, tan = 0.5 = 0.5 = 1 2 = 2 Also, Water is poured at a constant rate of 5 cubic meter per hour So, =5 3 / Where V is volume of cone Now, = 1 3 2 = 1 3 h 2 2 = 1 3 h 4 2 = 3 12 Differentiate w.r.t. t = 3 12 = 12 . 3 = 12 . 3 . = 3 2 12 . = 2 4 . 5= 2 4 . 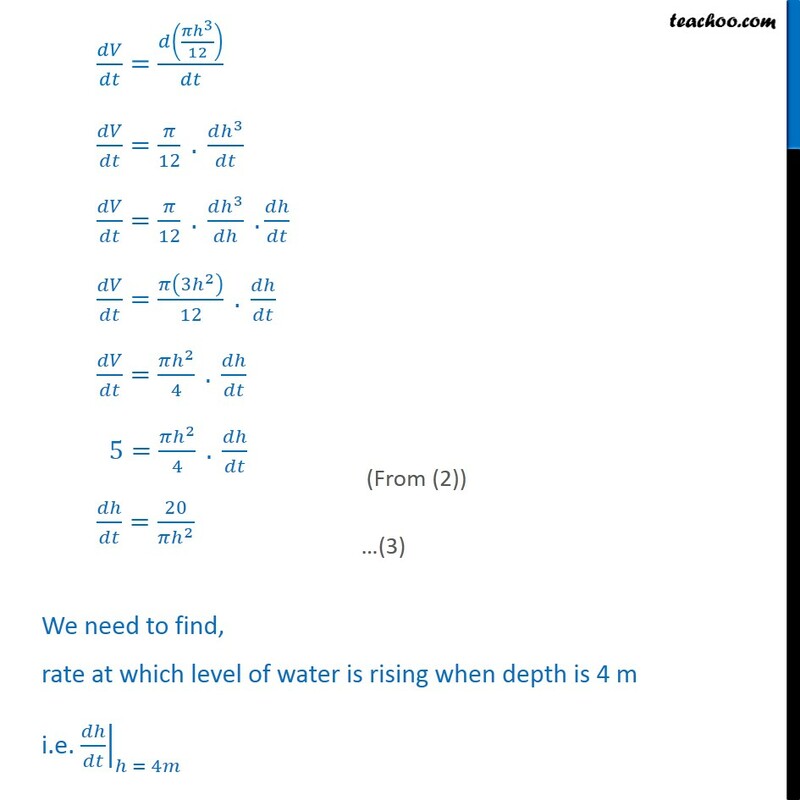 = 20 2 We need to find, rate at which level of water is rising when depth is 4 m i.e. 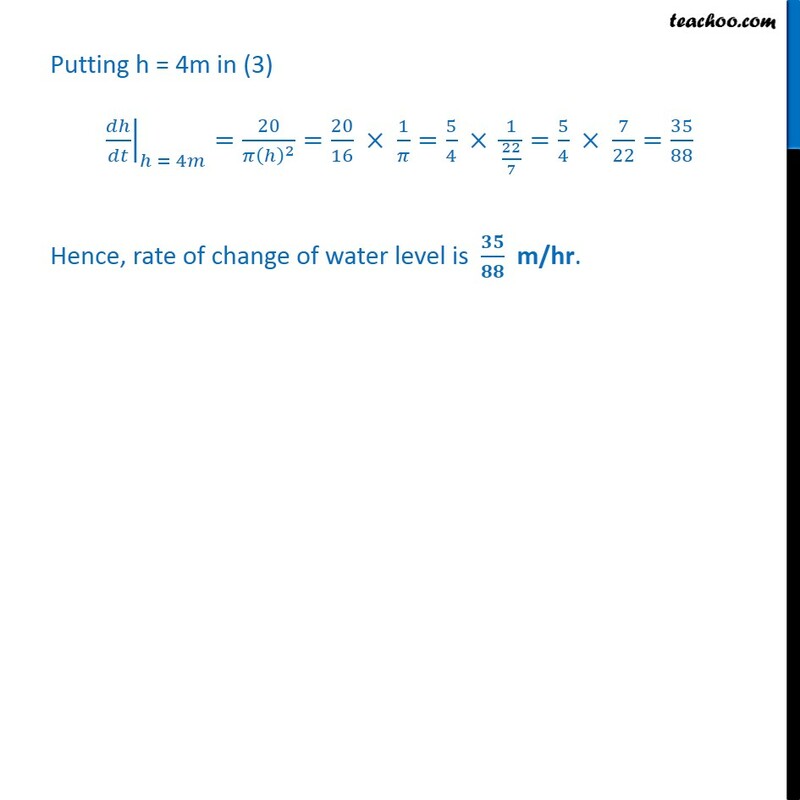 = 4 Putting h = 4m in (3) = 4 = 20 2 = 20 16 1 = 5 4 1 22 7 = 5 4 7 22 = 35 88 Hence, rate of change of water level is m/hr.